Print books remain surprisingly popular, even though some had predicted that the book would be dead by now. In fact, 65% of adult Americans say that they've read at least one print book in the last year, while 28% have read at least one ebook in the same time span. The total percentage of Americans who read at least one book a year — in any format — is 73%, down from 79% in 2011. This means that over a quarter of adults may be missing out on the extensive health benefits of reading, while those who do read may not be reading enough. Theory of mind refers to the ability to recognize and identify with the feelings, thoughts, and intentions of another. "It is an indispensable ability for meaningful social interaction," wrote Joaquín M. Fuster in The Prefrontal Cortex. The ability to be empathetic — to intimately understand what it would feel like to be in another's shoes — requires theory of mind. And having a high level of empathy fosters healthy, satisfying relationships. Since fiction "is the simulation of selves in interaction," we can greatly improve our empathy and theory of mind by reading regularly, wrote Keith Oatley, professor emeritus of cognitive psychology at the University of Toronto. Literary fiction is especially good at empathy-building, since more complex characters inspire deeper identification with the protagonists. Deeper identification usually means deeper insight. This is the opposite of what happens when reading popular fiction (like romance and crime novels), where the characters tend to be superficial and function to move the plot forward. Insight occurs through immersion in a fictional world, "allowing the reader to reframe her own situation, experience emotional release and clarity, and possibly even behavioral shifts," Sheri Heller, a New York City psychotherapist and interfaith minister told me. The type of immersion of which Heller speaks requires storytelling that does not simply tell the reader what to imagine. The reader must have an active role in the making of meaning. Research by Gregory S. Berns, distinguished professor of neuroeconomics at Emory University, and his team provides a possible explanation for what might be occurring in the brain of a reader who is fully immersed in a novel. "The neural changes that we found associated with physical sensation and movement systems suggest that reading a novel can transport you into the body of the protagonist," Berns said. "We already knew that good stories can put you in someone else's shoes in a figurative sense. Now we're seeing that something may also be happening biologically." Changes in the study participants' brains included heightened connectivity in the sensorimotor region of the brain associated with making representations of sensation for the body. To get you started, here are some of the best contemporary literary fiction titles, as rated by LibraryThing users. Many adults struggle with insomnia, and reading can help induce sleep when other techniques fail. 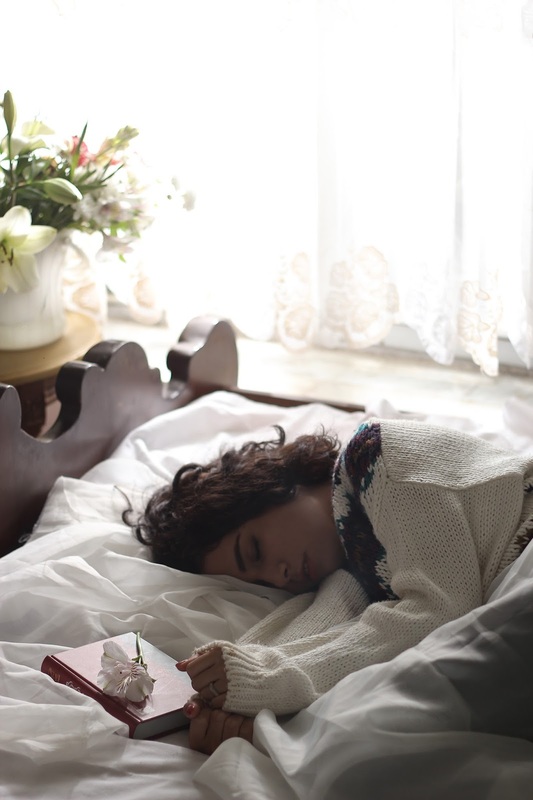 "I work with adults and always recommend reading as a bridge into sleep — it's the quickest way to shut off one's mind and allow drowsiness to take over," Lynelle Schneeberg, sleep psychologist and fellow of the American Academy of Sleep Medicine, told me. "Lots of people try lying in bed until sleep comes, but that's almost always a recipe for disaster. Reading is the ticket!" The type of book matters when it comes to getting to sleep. Schneeberg recommends reading material that is a bit lighter and less enthralling than material you would read during the day. "I advise my patients to choose something to read [at bedtime] that is a 5 or 6 on a scale of 1 to 10, where 10 is something by their absolute favourite author and 1 is too boring to hold their interest," she said. Another important factor to consider when reading before bed is that if you're reading on your phone or ereader, "be sure you've blocked the blue light spectrum," Schneeberg added. According to Harvard Medical School's "Harvard Health Letter", the blue light emitted from smartphones and other screens suppresses melatonin and shifts natural circadian sleep rhythms. Most smartphones come with settings to reduce blue light as soon as the sun sets. For phones without these settings, apps like Twilight can be downloaded to reduce blue light at night. 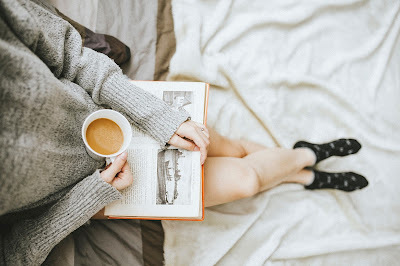 To give one possible explanation for the success of Schneeberg's suggestions, a study from the University of Sussex indicates that reading may reduce stress by 68%. Reading was shown to be more relaxing than listening to slow music or enjoying a hot cup of tea. Participants in the study only needed to read for six minutes to show signs of significant stress reduction. An overly-activated sympathetic nervous system — responsible for feelings of stress — is simply not conducive to sleep. Any activity that activates the parasympathetic nervous system, on the other hand, will help when it comes to falling asleep. Reading does just that. Marlene Caroselli, an author and corporate trainer whose book of Einstein-inspired brain boosts is due out this winter, told me that "in addition to knowledge-acquisition, there are numerous health benefits to be derived from reading." Quoting Einstein, Caroselli said, "The only thing that you absolutely have to know is the location of the library." We know from a growing body of research that reading is beneficial for cognitive health by slowing cognitive decline. And while it slows cognitive decline, "it also assists cognitive development, especially in the years before the decline begins," Caroselli said. Research led by Robert S. Wilson, professor in the Department of Neurological Sciences at Rush Medical College, shows that more frequent cognitive activity (including reading books, visiting libraries, and writing letters) across the lifespan is associated with slower late-life cognitive decline. The study also found that activities like reading books appear to counterbalance the cognitive loss associated with neuropathologic conditions like Alzheimer's disease. 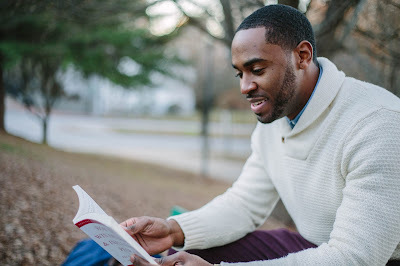 Spanning benefits in the areas of social and interpersonal health, sleep hygiene, cognitive fitness, and beyond, reading is sure to improve your quality of life — both now and in the years to come. An abridged version of this article originally appeared on Lifetime Daily. The health benefits of blueberries or foods containing real blueberries or pure blueberry juice are numerous. Research and studentwritingservices proves that this fruit contains powerful antioxidants that ward off a variety of diseases. There's a great deal of data out there on angle oil medical advantages. Is everything valid? Indeed it is. I've been inquiring about regular health supplements for a long time, and I've discovered the best supplements accessible by perusing logical examinations and research information. I find a very good website for the Pharmacy questions, If you want you can visit this site.